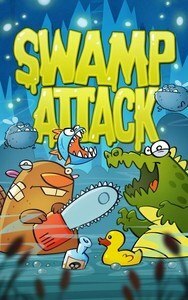 What's great is that Swamp Attack is free to play, with the option to purchase items to help you progress through the levels faster. Now with an ACTION-PACKED MULTIPLAYER MODE, more than 300 different single-player levels, 8 episodes and Quick Missions for instant action! 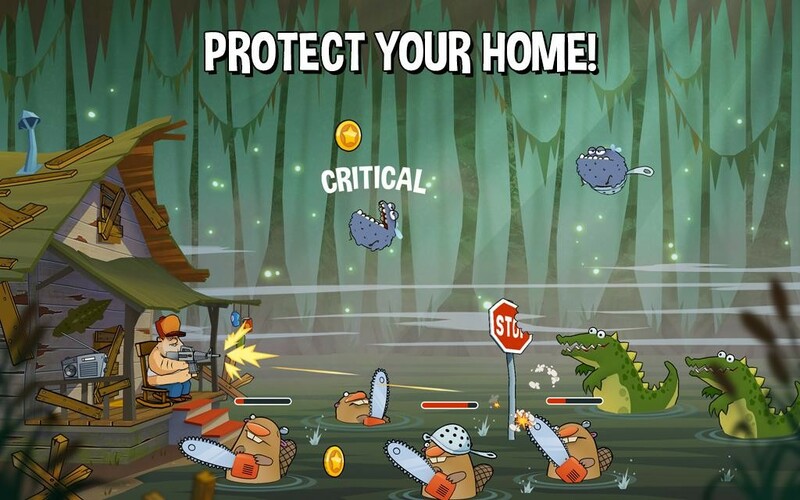 Defend your house with more than 30 awesome defense tools like the mighty shotgun, the reckless minigun and the super atom bomb! Witness more than 35 different critters going wild - each with its own special attack! - Tap the screen to shoot. - Drag and drop the explosives onto monsters. 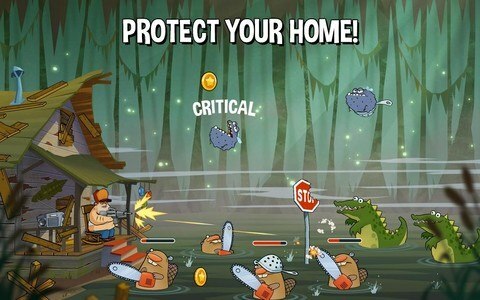 - Switch between weapons during the action. - Upgrade and equip weapons before starting a new level. - Drink potion to continue playing if you get killed, or to refill the energy instantly.